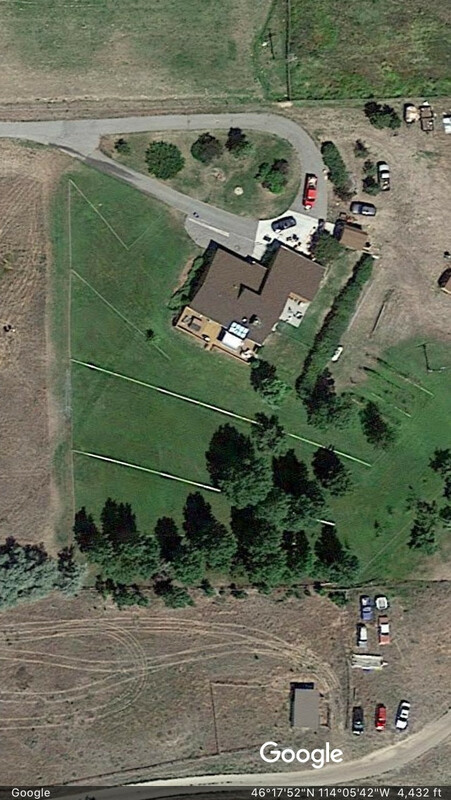 Could a aluminum irrigation system over about two acres work as a ground plane? Pros and cons? Shaped like an F but with 4 horizontals rather than 2. Sometimes it has water in it. The two top horizontals are 60 feet long, the bottom two are about 150 feet long. The feeder line on the left is also about 150 feet. Would it work and where would I connect the vertical Hustler antenna? Provided that the system is continuous metal pipe with no galvanic isolators, plastic couplings, plastic valves or other electrical discontinuities, the pipe should make a very good ground system for most HF antennas. The fact that the pipe is above ground is a real plus as this helps to minimize earth losses. Keep in mind that if you plan a vertical HF antenna, the highest current density is in the area near the base of the antenna. Try to place the antenna near one of the tee pipe junctions so as to provide the best possible return path for the evanescent currents in the near field. You can electrically couple to the aluminum pipe with a stainless steel strap. Make certain that no copper comes into direct contact with the aluminum - use stainless steel shims between the two. Some promote the use of copper to aluminum compounds such as DeOxIt that is used in electrical panels. This is not suitable for long term exposure to weather so it should not be relied upon in the long term. If you do use it, open the joint every year or so to inspect and reapply the grease based compound as needed. Not the answer you're looking for? Browse other questions tagged antenna-construction or ask your own question. Ideal antenna type for FM 2 meters? Is a J-pole an appropriate antenna for mounting to a steel handrail?